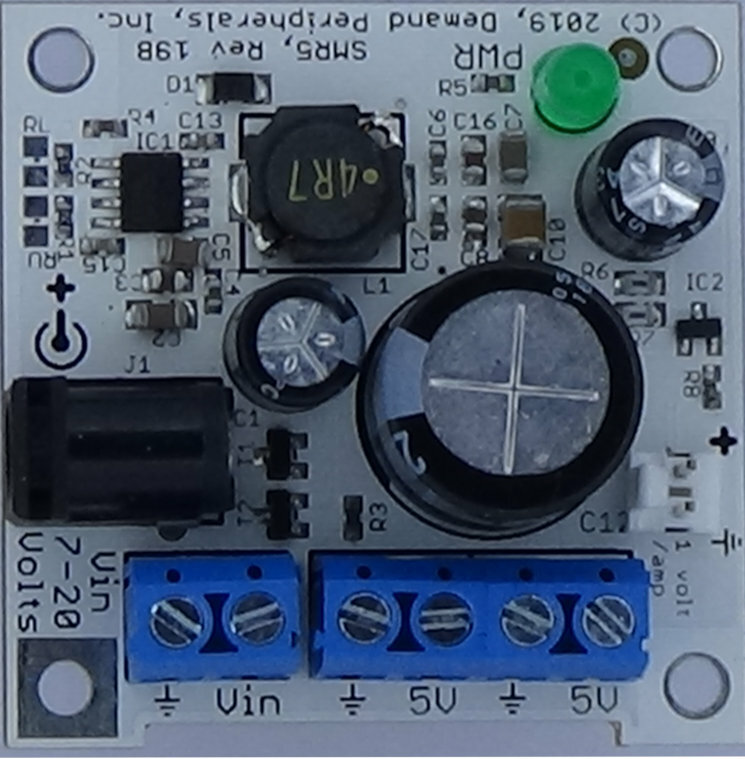 The SMR5 is a 5 Volt, 3 Ampere switching voltage regulator with very low ripple. The SMR5 card was designed with robotics and automation in mind. The SMR5 takes advantage of its larger size by adding output filtering which is not possible on cheaper regulator cards. Four mounting holes make it easy to securely mount the card to a chassis, and flexible input connections and multiple output connectors make it easy to use. Power is crucial on battery powered robots and the SMR5's high efficiency makes it perfect for powering your robot's processor card and other electronics. The SMR5 is a great companion to our externally powered USB hub card. The schematic and layout of the SMR5 are shown below. 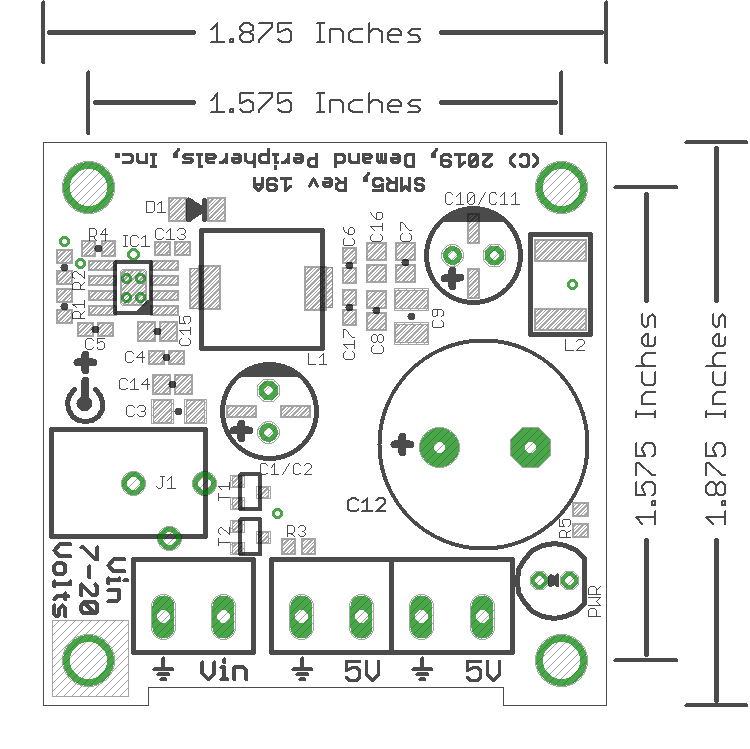 The Eagle schematic and board files are available here: smr5.sch and smr5.brd. The bill-of-materials is available here: smr5.txt.